One of the benefits of living in the great state of Delaware (or any of the surrounding states) is that you are never far from salt water, whether it be a bay or the ocean. 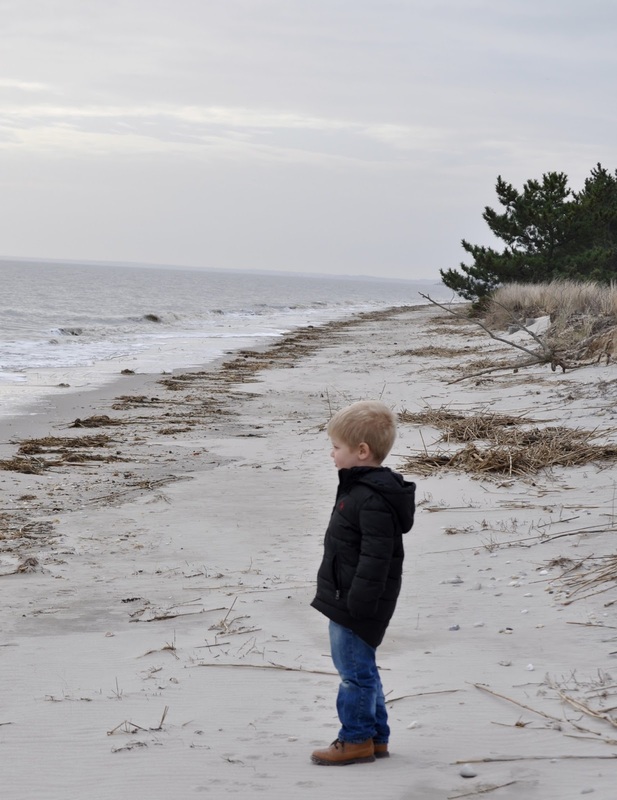 Almost everyone is familiar with the famous “Delaware Beaches” that include Lewes, Rehoboth, Dewey, and Bethany BUT you don’t have to drive all the way down there to experience the beach! We have access to the Delaware Bay shoreline right here in Dover in many locations, but the best I’ve found so far is Pickering Beach. Just East of Dover and the air force base, it can be found off of scenic Route 9 just a few minutes outside of town. Although not necessarily a swimming beach in the sense that there is not a lot of open sand or amenities, it is an excellent beach for exploring and finding treasures. Personally, I think it would be fine for the little ones to splash around in during the warmer months when you visit, but I would recommend water shoes as there are lots of shells and rocks there. We visited on a blustery January day and it felt like a ghost town. There are about 20-30 homes along the beach, however quite a few of them are boarded up and appear to be abandoned. We felt as though we were the only ones there that day, which is the way I like it. Generally, the beach is the last place you may think to visit on a windy winter day, but we were itching to get out of the house and see something new, and this is one of those places that we routinely drive past but have never been to in all our years here living in the area. A bucket is a MUST HAVE for this adventure because the sand is covered in beautiful rocks, egg casings, shells, driftwood, seaweed, crabs and more. So many neat things in one place! If you were really creative, you could plan a craft to do later at home using some of the shells you found at the beach. I wasn’t feeling super Pinterest-y that time, but will definitely plan something crafty for our treasures next time we go. 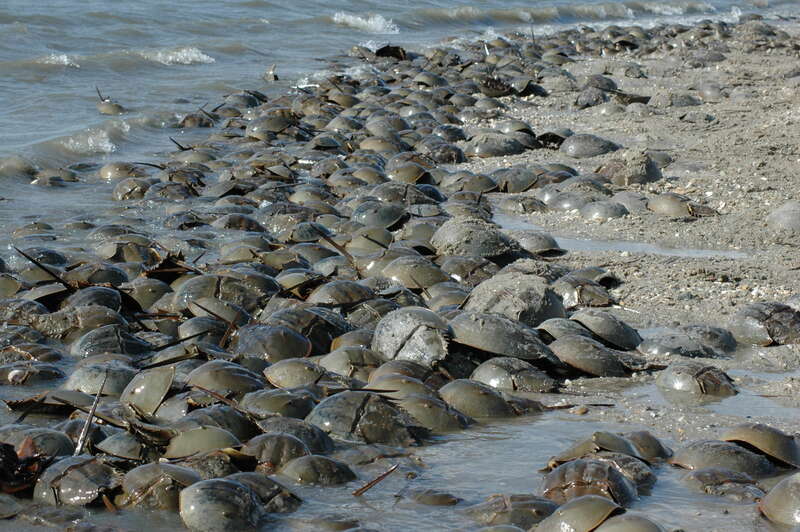 Horseshoe crabs have blue blood that is extracted for medicinal use, including cancer treatments. Their eggs are an important food source for migratory birds. They have been around for 450 million years (that’s 200 million MORE years than dinosaurs!!!) and have evolved very little in that time. Keep an eye out in a few months for a report on our very own horseshoe crab flipping fun! And remember, the beach isn’t just for Summer time. Bundle up and go now!